Downton disciples will find things to love about this very American period drama, but Marie wanted more Hayley Lu Richardson! Despite the poster and the blurb, the clue is in the title. Although playing heavily on the presence of 1920s icon Louise Brooks, The Chaperone is not her story, and fans of her period of Hollywood history will likely be a little disappointed if they come for a behind-the-scenes look at Brooks’ metamorphosis. Instead, The Chaperone looks at the woman who accompanied her on the first stages of her journey – Kansas society matron Norma Carlisle (Elizabeth McGovern). Norma has been a model wife and citizen all her life, but inexplicably agrees to chaperone a feisty 15 year-old Louise (Hayley Lu Richardson) to New York to join a dance school. The two women could not be more different, but while Richardson’s Brooks takes only a matter of days to transform into the sleek-bobbed party girl with whom we are familiar nowadays, Norma Carlisle slowly begins an exploration of herself, her past and her role as wife – with her ward as catalyst. 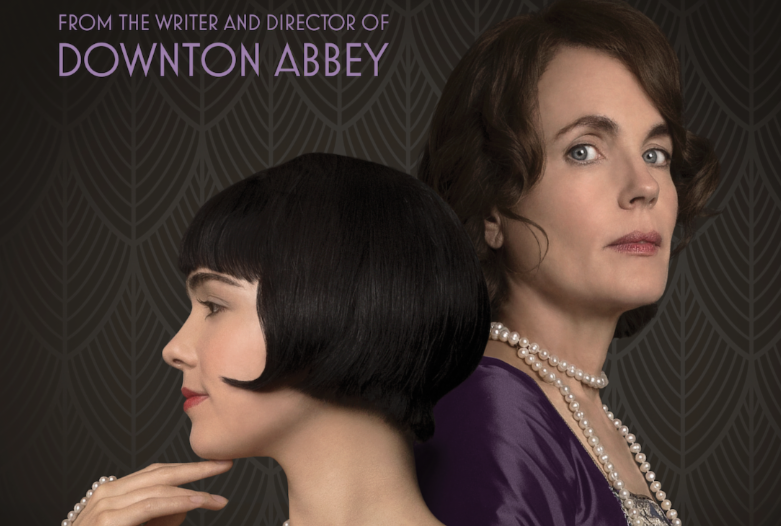 Elizabeth McGovern is solid as the reliable, conventional matriarch who learns some deep truths about herself leaning easily into her Downton Abbey experience for the role. She’s aided by a gentle and touching Geza Rörig (probably best known for his role in Son of Saul) – and a scintillating Hayley Lu Richardson, who surely is destined to be the next big thing. The task of adapting Laura Moriarty’s novel of the same name was given to Julian Fellowes, Oscar-nominee and creator of the Downton Abbey world. Director Michael Engler also has history with Downton, and so the mood and feel of The Chaperone would appear to be well within everyone’s comfort zone. While it’s clear that the film tries to draw parallels and highlight contrasts between the two women, it’s hampered by the melodramatic contrivances of the chaperone’s own story, making for far less interesting viewing than that of her ward. The Chaperone is a gentle period drama with a somewhat manufactured ending, which does not challenge viewers, but which will no doubt please Downton devotees. The Chaperone opens in New York on March 29th and in Los Angeles on April 5th before a wider release in April/May.